Arduino no longer really needs an introduction, since it is considered mainstream. Almost any EE student or hobbyist has tinkered with an Arduino of some form. This blog will deal either with the Due (when performance is critical), the MEGA (when a lot of I/O is necessary) or custom-built Arduinos with as few components as possible, usually based on the ATmega328 chip. 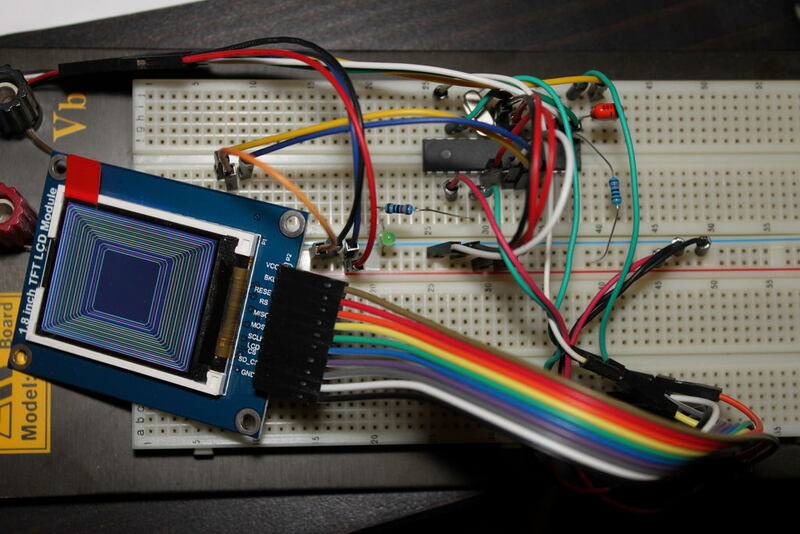 This picture illustrates just how easy it is to drive a TFT display with only 5 or 6 components. In this space I will link to the posts I will be making detailing my Arduino projects.